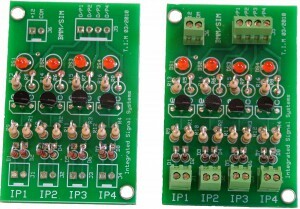 The ISS Signal Interface Module is used to convert signals from Common Cathode to Common Anode. 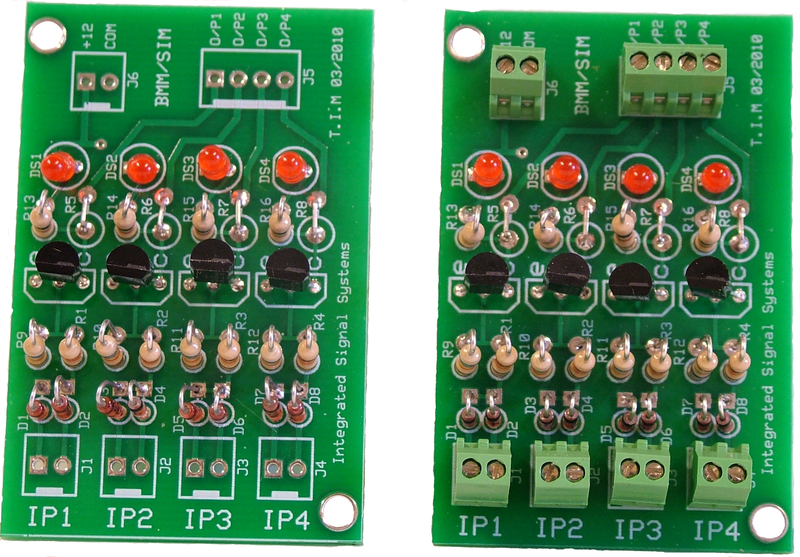 Each module will invert four LEDs, and each LED can be turned on from two sources. Each of the independent circuits contains a transistor which acts as a switch to turn the LED on or off. Each circuit contains spaces for resistors to limit the current thru the transistor and through the LED. Each independent circuit has an LED on board to indicate if the circuit is active or not. The board is offered in two versions. A solder only board and a board that has screw terminals so that the installer does not have to use a soldering iron. Both boards are offered as kits or built up.